Can you imagine Switzerland without cheese? 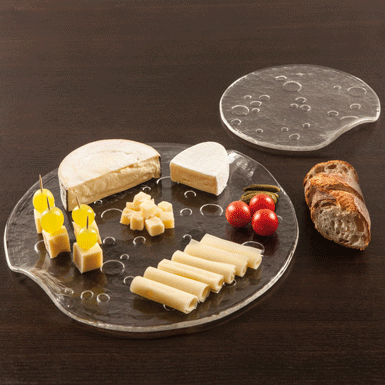 Our cheese serving plate (in the front) and dishes (at the back) are perfect for cheese from all over the world. hand-made by levelling molten glass.